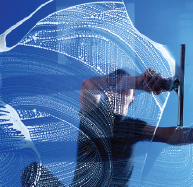 We provide a wide range of cleaning services for many of the fixtures around your home. Check out our services page to see just what's on offer! We accept payment by cash, cheque, direct bank tranfer and PayPal. When you call us you won't be put on hold. If we can't take your call straight away just leave us a message and we will call you back. You can also get in touch using our online contact form.